The following is a brief recap of the Tues., May 23, 2017, BPS101 Regular Board Meeting. View the agenda and all supporting documents from this meeting and minutes from previous meetings. View BATV’s recordings of previous meetings. At the beginning of this school year, AGS Music Teacher Mary Jensen challenged the BPS community to lift up others in our District and community. So many students, staff, and community members joined in the challenge of giving back and lifting up. During the months of Feb., March, and April, staff members were asked to nominate students who exemplified the BPS101 #LiftUp101 Kindness Challenge. We received a lot of nominations! 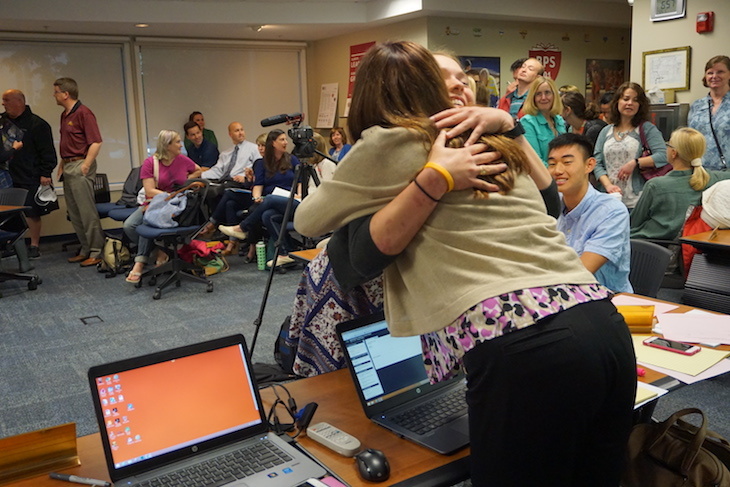 Each month, a new student from this pool was randomly selected—and surprised in their classrooms with an award presented by Superintendent Dr. Lisa Hichens. 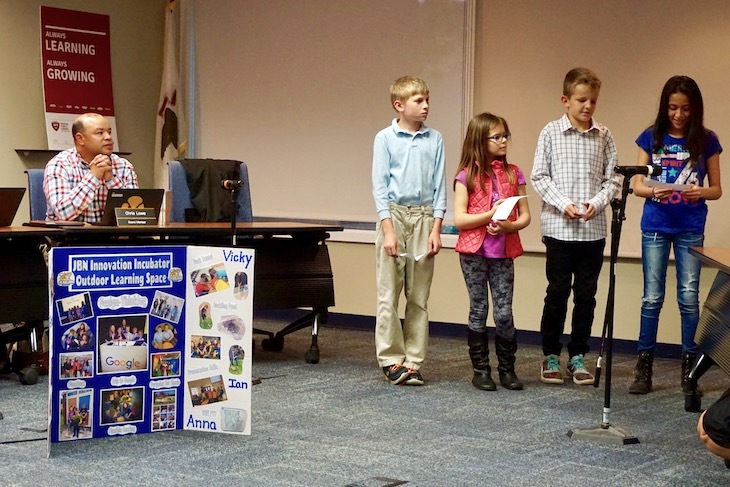 At the May 23 Board Meeting, the following three students were celebrated. Nominated for creating a “Don’t be a Bully, Be a Buddy” campaign. Drew started this after seeing a poster in his mom’s school. In time, his whole class got involved in bringing awareness about bullying through Drew’s positive sign campaign. Drew created a great ripple effect! Nominated for always including others and making people feel welcome. Lily also suggested that the RMS LMC host a bookmark event where students could decorate bookmarks with inspiring quotations or cheerful comments to help make students feel great. The LMC thought it was a great idea and made it happen. Nominated for going above and beyond as an after-school mentor of a Hoover-Wood student and co-leader of the BHS Interfaith Club. Congratulations to these three students and thank you to all students, staff, and community members who participated in the BPS101 #LiftUp101 Kindness Challenge this school year. Thousands of positive actions have resulted from Mary Jensen’s challenge to the BPS101 community. 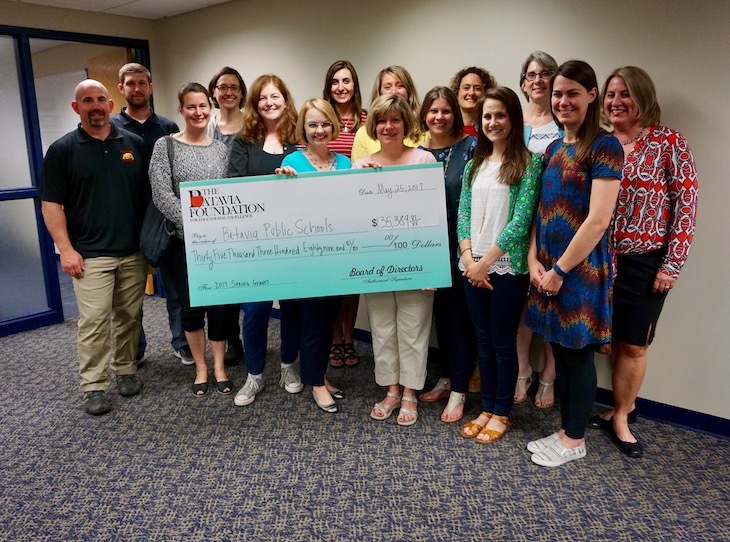 The Batavia Foundation for Educational Excellence celebrated its Spring Grant recipients. BFEE Chair Catherine Fitch shared with the Board that the BFEE Grant Committee approved funding for 10 grants, totaling $35,389.81. 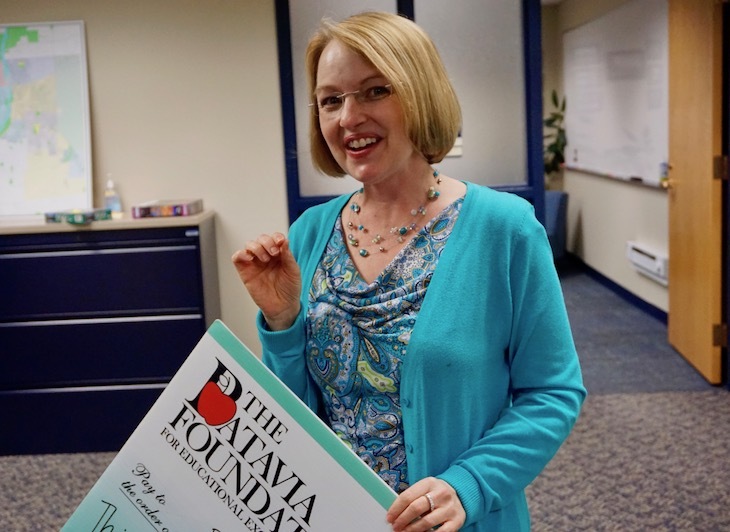 Grants were awarded based on a number of factors, including uniqueness, impact on the teaching/learning environment, number of students impacted, and alignment with BPS101 goals and priorities. Congratulations to all recipients! View summary of grants funded. 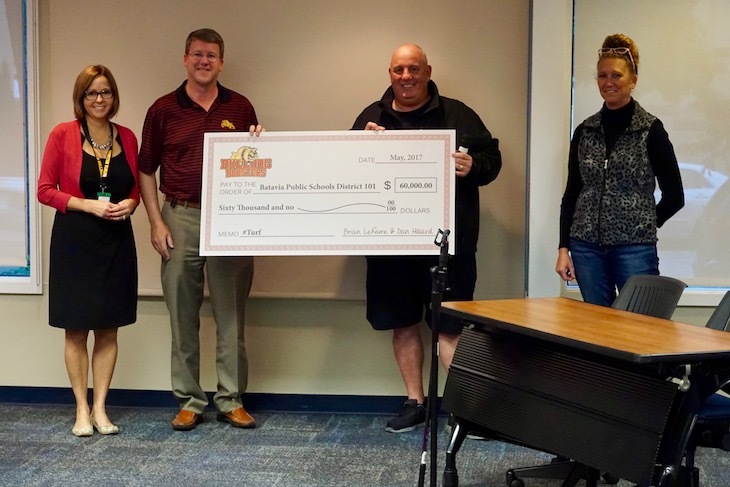 Batavia Bulldog Athletic Boosters President Dan Hilliard, Treasurer Brian LeFevre, and Vice President Lori Biddle presented BPS101 and the Board of Education with a $60,000 check for Batavia High School field improvements. The athletic boosters pledged to donate $500,000 over a five-year time period. Including the $60,000 check, the organization has donated a total of $260,000 since May 2016. 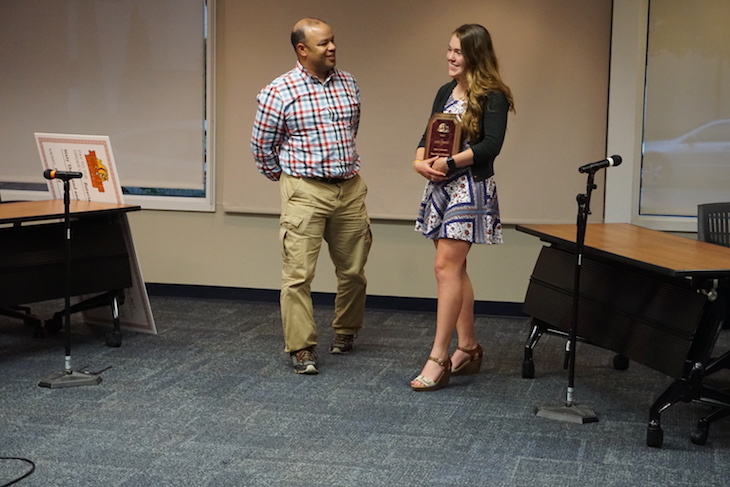 BPS101 Student Ambassador and graduating senior Addie Bobosky was honored at the Board Meeting for her excellent work as an ambassador to the Board of Education. Addie, who served a two-year term, said she will be attending Saint Mary’s College in Notre Dame, Indiana, in the fall. She will be missed, but will no doubt do many more great things in her next chapter. 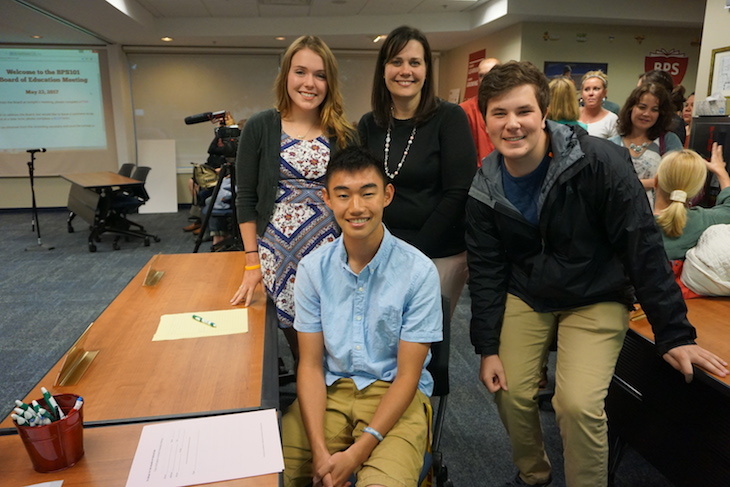 Addie’s replacement, incoming junior Chris Theros, will be joining current Student Ambassador Justin Chu to represent the student body at Board Meetings. Welcome Chris! BPS101 Chief Academic Officer Dr. Brad Newkirk presented the Board with a report on class size and shared that a web page has been developed on the topic. He also committed to better communication about class size decisions and updates with affected families. Prior to Dr. Newkirk’s report, several Alice Gustafson Elementary School parents made public comments about their concern over class sizes for incoming second graders at AGS. AGS teachers also gave their feedback on the issue. It was decided to include the topic for action at the next regular board meeting. The Board voted 5:1 to approve the purchase of 1,300 Chromebooks from CDW-G, Inc. not to exceed the amount of $260,000 for FY18 grade levels 1, 2, and 8. 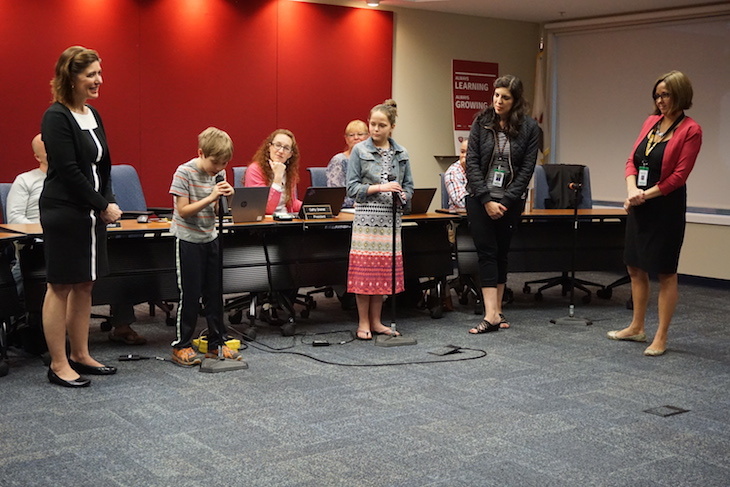 Don Seawall, BPS101 Director of Information Services, shared with Board Members a proposed four-year Chromebook refreshment plan to balance the purchase of the devices for predictable budgeting. The average annual cost forecast is $328,000 annually. Board members unanimously approved a one-year contract extension with Quest Food Management Services, increasing fixed meal rates by 2.3%, per the terms of the 2013 food services bid. Lindsay Jannotta, BPS101 Assistant Director for Finance, explained that Batavia High School, which is not part of the National School Lunch Program, has a separate contract with Quest that remains in effect through June of 2018. Board Members also unanimously approved the increase of lunch prices at the middle school and all elementary schools by $0.10 to make the cost of a meal $2.75 for the 2017-18 school year. Section 205 of the Healthy Hunger-Free Kids Act of 2010 requires school districts participating in the National School Lunch Program to ensure that sufficient funds are provided to the nonprofit food service account for paid lunches. Districts whose weighted average meal price is less than the difference between federal free and paid per-meal lunch reimbursements are required to increase their prices to an equitable level. Tues., June 20, 4 p.m.
Tues., June 20, 7 p.m.
Tues., July 18, 7 p.m.